A New Look And a Throwback to Australia! Welcome to the new look of FSK!! I am super thrilled to give this beloved space a face lift after ~6.5 years of loyal existence on Blogger. I redesigned this site from scratch and am now hosted on Squarespace, the same platform I use for Photography and FOODLY sites. I think this is a cleaner, more functional, fluid and less cluttered flow. What do you think? As I was cleaning up the back end and removing unneeded stuff, I reacquainted myself with some of my old work, those I did not do justice to back then. I don't know why. I suspect my aesthetic was not sufficiently developed. Plus, I was not too confident of my work or site design. 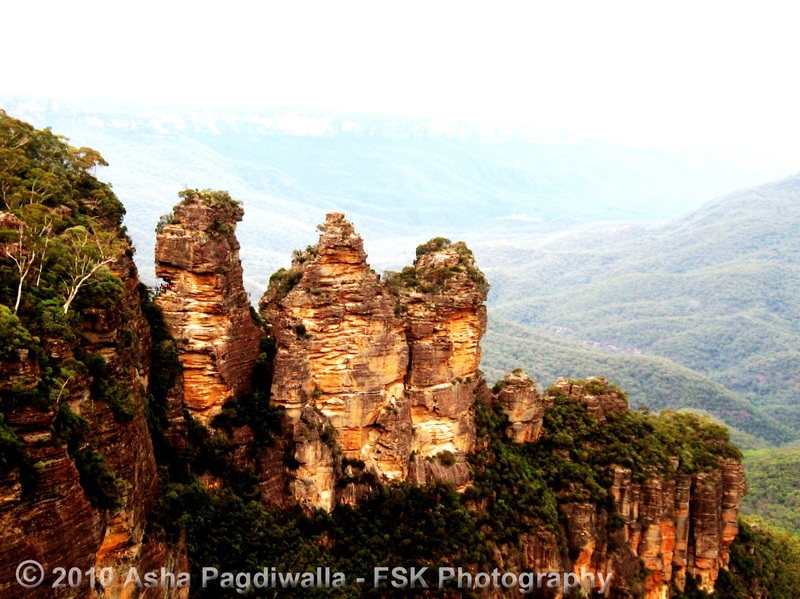 Anyway, I thought this would be the perfect opportunity to repost a travelogue of a vacation in Australia! 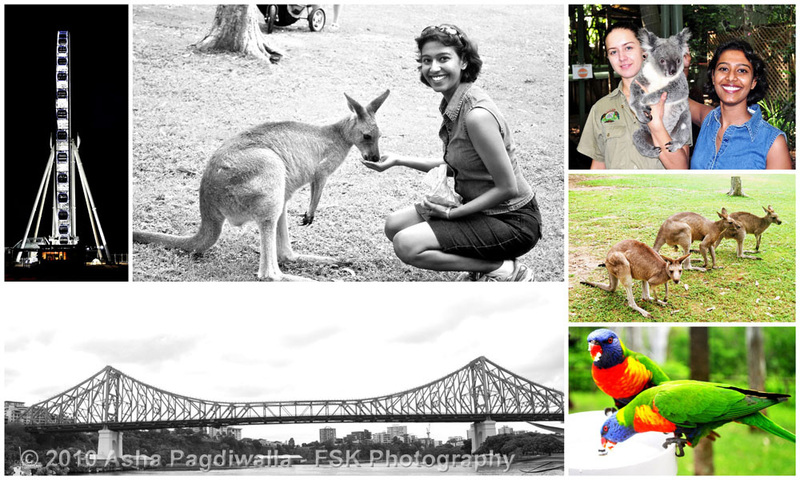 Our discovery of Australia began in Brisbane. Our hotel was right by the Brisbane river and conveniently for us, in walking distance to all things - sights, markets and restaurants. We sighted the Story Bridge from our hotel itself, City Hall and took a ferry ride up and down the river and checked out the various suburbs. And, ofcourse did a stop at the Lone Pine Koala sanctuary to see koalas (I didn't want to hug them) and feed young kangaroos! The highlight of my stay here - meeting Julia. She is as sweet as her mouthwatering creations!! :))) She took us to Ecco, Brisbane's top rated restaurant, where we had a fantastic meal. My friend is vegetarian and she was super thrilled to find that they had a whole separate vegetarian menu that was executed perfectly. Julia also recommended Piaf, a little French place, where I had the best Barramundi of the trip! 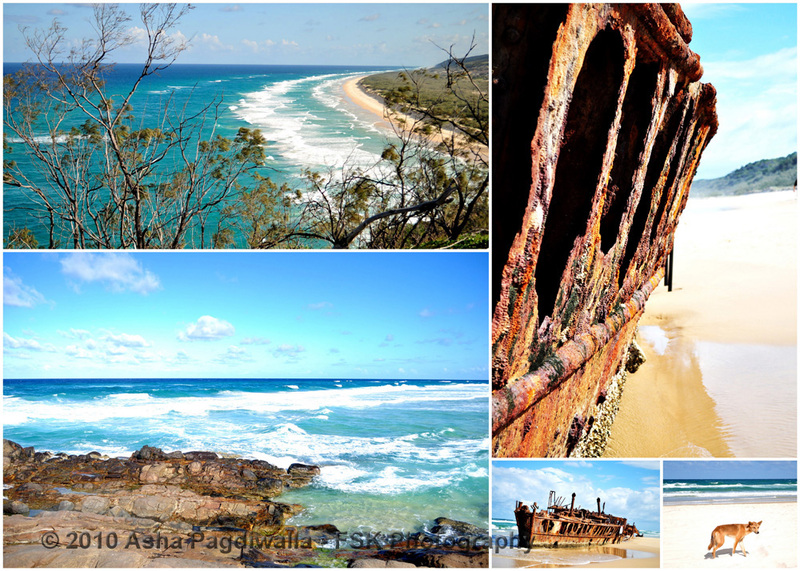 Then we set off along the Sunshine coast towards Noosa and Fraser Island. 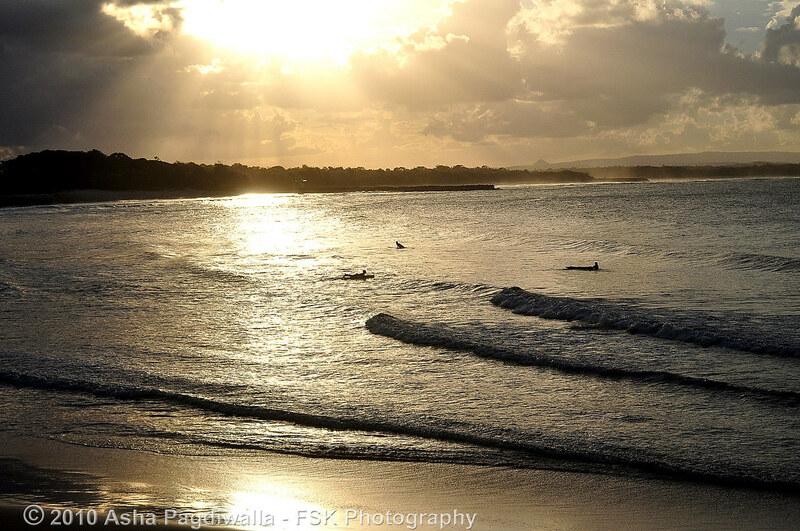 Along the way, we stopped at Bribie beach and reached our resort just as the sun was setting, taking in the Glass House Mountains along the way. The drive along the mountains is about 30 miles long. My suggestion is to skip it. However, there are wineries on the way, some that offer lunch as long as you reach before 3 pm. From Brisbane again, we flew to the Northern tip of Queensland, to the Great Barrier Reef and Daintree Rainforest - two World Heritage sites and the latter being the oldest rainforest on Earth. We took a day tour aboard the Silversonic to the Agincourt reefs. We were given a total of 4 hours in water at three different sites. I was sea sick on the way there (GAH! nasty winds and a over-confident big breakfast were to blame!!). But, yet managed to get about 3+ hours in water. The reefs and sea life were gorgeous!! I swam just a hand's length above a reef shark!! I am sure, he didn't care about me but I was super thrilled!! The reefs themselves were gorgeous! Oh! and the highlight - The boat lunch was phenomenal (it cured my seasickness, scout's honor!!). The crab was succulent and sweet as were the prawns!! In general, Port Douglas and Cairns had some subliminal seafood. I would urge you to try Salsa Bar and Grill at Port Douglas. Seafood to try - Yabbis (smallish lobster), Coral Trout (YUMM! ), Crab and Prawns. Melbourne city center was, well, like a city. 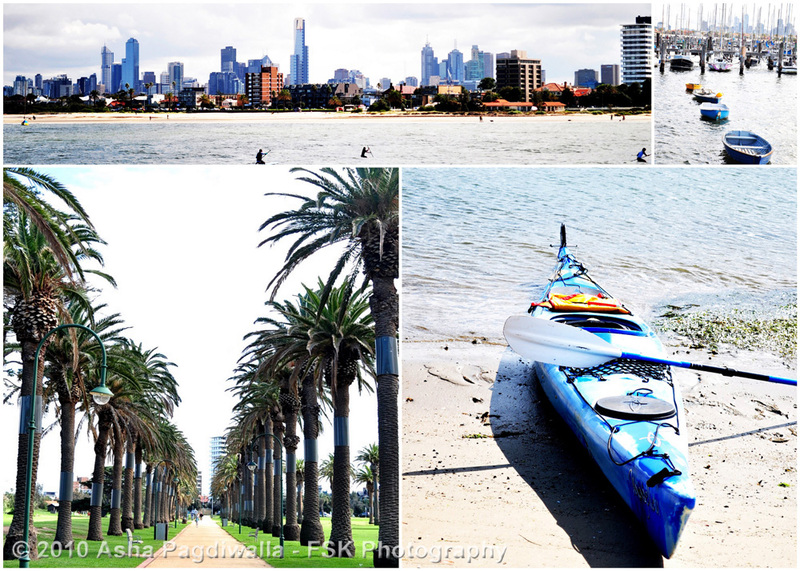 My favorite part was an excursion to St. Kilda, a suburb just 20 minutes from Melbourne city center. It's a lovely seaside neighborhood, very residential and just reminiscent of Besantnagar back home! :). I spent hours here at Pelican Cafe, reading a book and enjoying a happy meal. 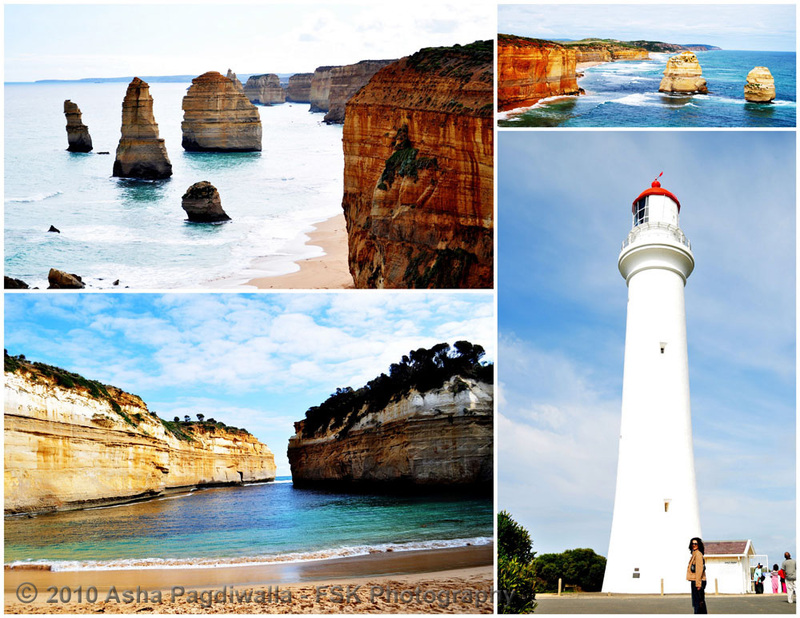 On the second day, we did the Great Ocean Road drive to the 12 Apostles and Lockard Gorge. It was a gorgeous drive and we entertained ourselves with a lot of out-of-tune and really bad singing :)). 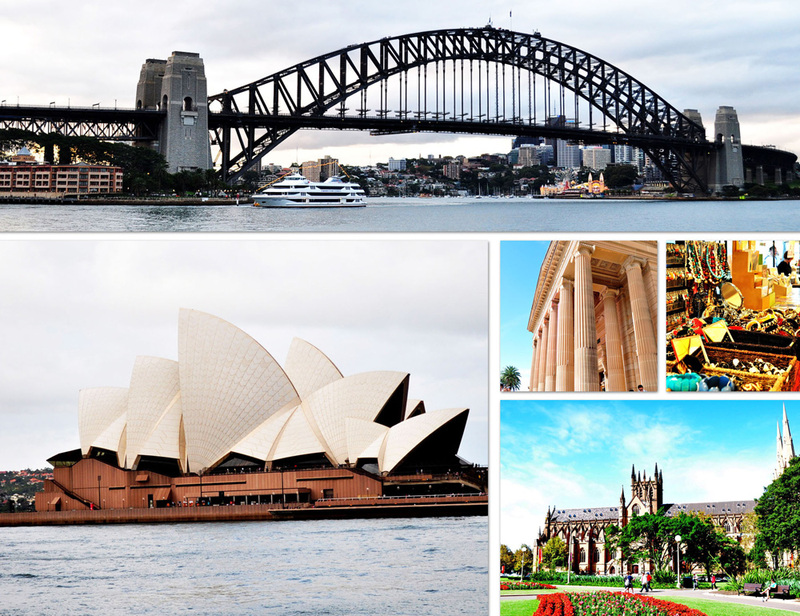 Sydney was my favorite city!!! And, clearly closest to NYC - no narcissism here, I swear. It had a harbor, a lovely park, a gorgeous Cathedral (St. Mary's by the park, where I attended a beautiful Easter service) and an inspiring museum in the park. Not to mention street markets (Rocks and Paddy's Market) where I picked up Aussie flavors! :). We also saw King Lear at the Opera House; very different from the NYC theatre scene with the drama focussing mainly on the actors' talents and very minimal on set decoration. It was an experience much cherished!